SECAUCUS, N.J. — Vitamin Shoppe Inc. announced that it has appointed Sharon Leite as chief executive officer, effective August 27. She will also become a member of the board of directors. Prior to joining The Vitamin Shoppe, Leite was the president of Godiva Chocolatier in North America since October 2017. She led the business across all channels, including stores, e-commerce and wholesale. Prior to that, Ms. Leite was the president of Sally Beauty, U.S. and Canada, an international specialty retailer and distributor of professional beauty products, with over 3,000 stores. 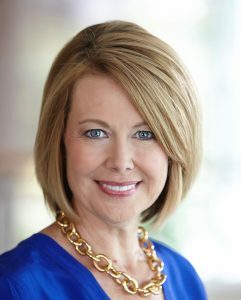 Leite spent close to a decade at Pier 1 Imports with her last position in 2016 as executive vice president of sales, customer experience, and real estate. Earlier in her career, Ms. Leite held various executive leadership roles at Bath and Body Works as well as various sales and operations positions with other prominent retailers including Gap, Inc., The Walt Disney Company and Express.